Success-driven professional with more than 12 years of extensive experience in providing financial services such as accounting, auditing, reporting, budgeting, compliance, controllership, and business system implementation. 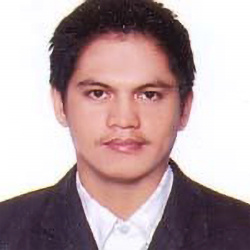 Prior to joining CPG-KFUPM, he worked in a group of companies here in Saudi Arabia for 9 years where he was tasked to handle various capacities from accounts payable, accounts receivable, bank reconciliation, general ledger up to finalization of financial statements, internal controls, budgeting and part of EPR implementation team. Back in the Philippines he worked as a tax accountant in one of the well-known tire manufacturing company to ensure compliance with the various requirement from the government regulatory bodies and lead different external audits. Bringing all these experience in CPG-KFUPM, he will be of good help to ensure the completeness and timely submission of Financial reports, compliance with college policies and procedures and internal controls are in place to achieve the short term and long term goal of the college.